Late last week, NCAA collegiate athletes in college basketball & college football, led by former UCLA basketball player Ed O’Bannon, & EA Sports, the video game maker of popular sports games such as NCAA Football 14, Madden NFL 15 & the upcoming UFC game, settled for $40 million dollars, which will be paid out to the over 100,000 athletes that have appeared in EA sports college games since 2003. 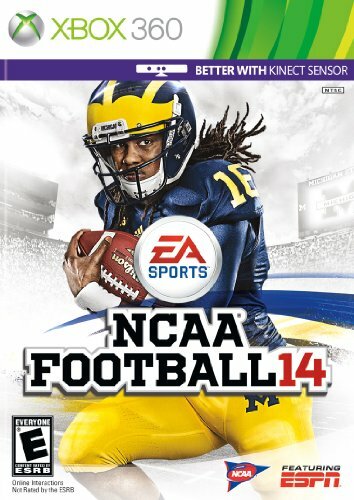 NCAA Football 14 was the last college football game released by EA Sports before the gamemaker cancelled the series. The average payment comes out to approximately $2,000 to $4,000, depending on how many times an athlete’s likeness showed up in a game during their NCAA eligibility. While this amount may not be able to feed the athletes or take care of them at all while they are out of college depending on the job situation, it does pave the way for a major showdown between O’Bannon & the NCAA, working on their own as their own representation. However, when looking at all of the instances where the NCAA has made money hand over fist for their biggest events – the Final Four & the BCS National Championship & College World Series – there is no reason to not share some of the massive revenue (over $5 billion combined from all schools involved) with the students who truly need the cash. It has been well documented that the college athletes who are responsible for making the schools massive revenue for the university – basically being employees – many are not able to pay for their own meals, can’t go to a movie like a regular college student, & while they are very different & many times are there simply based on their athletic abilities, they are still college students who should be able to enjoy the benefits of being at a college university. EA Sports made some of the most entertaining games for the Xbox 360, Playstation 3 & others when they made their NCAA football & basketball games, but the fact that many students were not compensated for their skills, especially when the average gamer knows they were playing with the exact same counterparts used on gameday is absolutely wrong – similar to how replica numbered jerseys are sold (yes, we sell them too) & we all know that certain numbers are used for certain star players & we can’t say who the players are. NCAA officials want fans to believe that the schools picks random numbers to market. EA Sports cancelled the series because they don’t want to be on the hook for paying each of the athletes in the game, flat out. I believe that a revamped version will eventually come out that will feature the “BCS” conferences (Big Ten, ACC, Pac-12, SEC, Big 12, Big East) when they break away from the NCAA & form their own football & basketball subdivision with their own rules & ideas. The SEC has already said that they would like to make sure all athletes have payments & scholarships available for playing in a sport, which the other major conferences may go along with at some point or another. Even though EA Sports had their settlements with the athletes, the big showdown will be the NCAA vs O’Bannon to get payments for college athletes. If the case is tried in the media, O’Bannon will win the landmark decision, which would basically break down the NCAA as is, & force it to actually make some changes. It’s time for change. Now.